In 2018, digital news companies will get bought and sold, big-name brands will miss their ambitious growth goals, while plenty of newsrooms will keep pirouetting amid more jobs cut. And many news executives, mostly white men, will keep getting hired in big jobs. In much of the journalism we will read about these inevitable changes in 2018, much like we read in 2017, most media writers will express surprise, shock, exuberance, and angst, with criticism of owners, executives, platforms, investors, and business models. In other words, the 2018 media coverage will read like déjà vu all over again. So here are some suggestions — to ourselves as fans and well-wishers of our industry — on how what we might want to better cover what are likely to be some key topics of discussion within our industry in 2018. As a reporter, editor, and now the steward and custodian of a wide range of journalism as well as journalists’ jobs at the Fusion Media Group, I am both guilty as charged, and the occasional beneficiary of how we mostly cover our industry. Being critical of how we do what we do isn’t about being negative or being down on this half-full digital sustainability glass — it is about acknowledging being critical is key to getting better. And we all need to do better, if for no other reason than for the sake of not surprising our readers in 2018, all over again. If that red-hot media company you are profiling is a public company that has to report its results to the SEC, or you happen to have their actual audited P&L in front of you, don’t simply quote media CEOs or investors saying they are “profitable” this year or will “break even” within a couple of quarters. Unless, that is, you are a believer in Enron-accounting. Profits as defined by private businesses, or those owned by private equity, assorted billionaires and media executives, or by larger companies — even when they are public — is an utterly meaningless word, because there is no single accepted definition of that kind of profitability. Eventually some of us will have to be genuinely profitable — or we won’t be around, but for now, it will be a Talmudic roadmap with lots of twists and turns before getting to our respective destinations at different speeds. So start by asking a lot more specific questions, along with wanting supporting data, with “we don’t disclose numbers” being your first clue to not waste your readers’ time in simply repeating profitability claims. At least, not without clearly telling us these are unverifiable claims with the media executives having refused to offer supporting evidence. Why is putting additional money into a business that is clearly spending more than it is making, a sign of success? It’s called “burn” rate for a reason. Start by telling your readers that you are writing about an industry that mostly relies on terribly inadequate third-parties for almost all its audience data. To be sure, all media companies are stuck with using these third parties because we never bothered to invest a lot in data capabilities, but also because the ad industry has to rely on some public common-denominator data it can (barely, it turns out) trust. But we can at least be a bit more skeptical on behalf of our readers in citing these numbers. As for surveys and data from the likes of Chartbeat, Parse.ly, and myriad others who make a good living off newsroom dashboards and analytics, please caveat our temptation to use and extrapolate from their data in drawing those sweeping conclusions about the state of a company or the industry. That’s because, by nature, these are self-serving surveys for the narrow data-business models of these companies vying for more media clients, by claiming to have new-new ways to help clients monetize their audience data. When is the last time we actually asked a media company to talk about what percentage of their monthly unique visitors or visits come from social media platforms? The answer to that might tell how “not in control” any one of us is, of our own business model. Yep, everyone is talking it up and planning to sell truck-loads of stuff to their audiences. So here are basic questions we might consider asking the next time some media company talks up its big push into e-commerce. For starters, what exactly do we mean by e-commerce? Is it starting an affiliate business with links to Amazon and Jet and eBay? If so, there’s absolutely nothing unique or new about it, so what is different about this particular e-commerce push? Is the company getting into handling actual products, by itself? If so, ask a lot of questions about inventory management, returns policy, write-off risks, merchandizing expertise (very little exists in most media companies, by the way), relevant new staffing needs, and why, when Amazon is crushing every retailer out there, this media company thinks it can make a typically low-margin, inventory-centric business work. Oh, they are outsourcing all of that to third parties, are they? Guess what — those slim product-commerce margins just got even thinner. Also feel free to dig deep into the connection between how they are mapping their journalism — presumably the reason why they have audiences — to specific products. If you hear they plan to sell a lot of candles on a listicles site, pause and ask yourself if that makes any sense for a millennial to buy from that news brand. Sticking big “Buy” buttons on every page is not a strategy — actually it might just take away a potential guaranteed revenue spot (even if very low programmatic dollars) away for that media company. Ask what is the conversion rate assumption on their e-commerce business. See if they can easily define “conversion.” And then, if you hear anything more than, say, 4 percent conversion, ask a lot more questions about why that number will be higher for them, than what is the industry average at media companies that have been doing it for a few years. Repeat after me: Not all subscribers are equal. A lot of media companies have gained a lot of paying subscribers this past year, and the headline numbers are indeed impressive. For starters, the next time a media company gives you a quarterly update on subscribers, please separate print and digital subscribers. Then start asking some hard questions about where the subscriptions are coming from (near-free offers for a bunch of months via Amazon Prime, for example), and what the average revenue per new subscriber, is at that company. No media company will volunteer to tell you the cost of acquiring subscribers (it’s a lot of upfront investment, by the way), so at least ask for that, since new subscribers are not profitable unless they keep renewing their subscription for a few years. Which also means that we all need to come up to speed on questions about lifetime value, yields, and retention rates. And don’t forget to ask how much of reader revenue came from increasing rates during the period, since rising rates often can work against subscriber retention, usually a year down the line. We read a lot about the great subscription upside of the “Trump Bump” in 2017. Now is the time to start asking about churn, please. Because pouring more into leaking buckets won’t solve the existential business model challenges of any media company, however wishful our politics might want that to be. As reader revenue becomes more front and center, there is going to be a lot of talk about memberships. Many public broadcasting outlets have been at it for a while now. Many other media companies are just starting out so there will be a lot of executives spinning up tales about this. For starters, separate one-time donations and pleas for contributions, however well meaning they might sound, from memberships. A free tote bag for getting your credit card dinged each year doesn’t automatically a member make. It is welcome charitable behavior and often works well when a larger notion of public good is in the mix. Brands such as The Wall Street Journal, with its WSJ+ membership model, have natural advantages because they can leverage parent News Corp’s expanded network, be it offering HarperCollins hardcover books or access to National Geographic explorer events. Throw in in-person invites to Journal journalism events or newsroom tours, which create scarcity out of things that really aren’t, and you have the makings of truly unique membership perks. This means the annual conversation around renewing my Journal subscription is no longer about just paying for journalism but a bundle of unique offerings, available only to WSJ+ members, which just happens to also include free access to the Journal. So if memberships are to really work and scale for all of us, they would need to create what is essentially a value exchange beyond paying for journalism (let’s just stick to calling that model as subscriptions, shall we) while creating a sense of community — of belonging — to a unique group of readers for that news brand, with certain real or perceived benefits otherwise not available to non-members. Remember, there doesn’t always need to be an exchange of money — a consumer’s email or willingness to watch a video in return for, say, free access to a premium article can be part of a media brand’s membership offer, if a media company thinks that data or action is valuable and can be monetized. So try to have an open mind in 2018 about membership experiments at media companies, but make sure to treat them as experiments and not as some amazing new business models. As in, don’t hype memberships as the new salvation for anything yet. Like we did with digital subscriptions. The downside of creating membership offers? We really need robust customer service, especially if these members are paying a lot of money for services. Can any of us remember the last media company that had anything other than terrible call centers, mostly useless help desks, and zero customer-service orientation? Like it or not, we are going to hear a lot about the telecom+media companies in 2018, between Verizon, Comcast, and AT&T buying up a slew of digital brands. We will, naturally, be very tempted to focus primarily on cost cutting, mocking new brand names (Oath!) or have our editor friends there tell us how clueless telecom overlords are causing chaos for all those creative newsroom geniuses trying to keep journalism pure and safe. Sure, we can get these easy hits in but, perhaps, we can start talking about the inexorable rise of these melcos, especially with a totally laissez faire FCC aiding and abetting that process, and how that opens up a whole new battlefront for all digital media companies. If they can get their internal act together, the Verizons of our world can potentially add large, scaled media brands, such as Yahoo and HuffPost, with must-see live sports and entertainment deals as part of our phone and Internet bundles. And just like that, media companies will find themselves with battles on two fronts — ongoing frenemies such as Facebook, Amazon, and Netflix on one hand, and equally powerful melcos on the other. While we remain obsessed with our individual paywalls, imagine a friction-free offering from a Verizon or AT&T that promises a great media bundle led by their own brands for, say, $1 being automatically added to our monthly phone/internet bill. The potential for this transparent payment for media model to upend the whole payments paradigm of our world is a looming issue, one that is worth keeping a very close eye on. A big story for 2018 will be about how every media company executive will start talking about how they are going to diversify their revenues, away from advertising. How about if we start by talking about what revenue streams are logically feasible for a media company? By my count, these are about a dozen, for starters: 1) display advertising; 2) programmatic revenue across content formats; 3) own video; 4) native/branded/custom studios; 5) subscriptions; 6) e-commerce, whether affiliate, product, or services; 7) P&L-based events; 8) memberships; 9) television shows, if TV is not your core media proposition; 10) creating shows/movies for third-parties such as Netflix and Amazon; 11) syndication/licensing; 12) international. So when you start evaluating success or potential of digital news brands, drill down on what is already happening at that media company today versus mere ambition and hype. Don’t forget that in every single one of these categories, there is already competition inherent to that particular business model, so our universe of potential rivals gets larger and more varied with every new revenue stream. And don’t forget to ask what additional resources the media company will need — and at what cost — to build new internal capacity in any of these new revenue areas. Try not to get seduced, for example, with events as a growth business for a media company. It might be a fat-margin business with one-off events, but is deceptively non-scalable and highly bespoke, even for repeat events of the same genre. Which is why the likes of Fortune and The Wall Street Journal have, typically, mostly stuck to less than a handful of marquee events over the many years they’ve been at this. As with 2017, there will be plenty of digital media veterans playing musical chairs with big jobs, especially white men who have had a headstart in the world of digital media, for a host of reasons that go well beyond their seemingly amazing competence at failing up. So the next time a cool media company names a new CEO, COO, or editorial director, how about not falling in love with their past, especially the fumes of supposed brilliance some two jobs ago, and, instead, asking afresh how well did they allegedly do in those jobs? This is not easy to write the day someone leaves a job, for all the HR confidentiality — plus NDAs, a buyout package at risk, ONA-speaking-circuit friendship, or just happened to “leak a lot of stuff to you as a source” reasons — but there are no excuses not to revisit that past performance when that same executive surfaces, out of hibernation, in a big role at a well funded company. More importantly — and never more so in 2018 — always try to write about new executive hires in the relative context of our industry’s diversity rhetoric. Start by looking at the mastheads of the Top 10 brands — especially in print, but also at the big digital media companies. End 2017 by noting the number of women and people of color in that group. And keep that list handy all year, when these companies add and subtract, so you can easily tell your readers what is truly happening on that front. Can you recall any American digital news brand that has actually built a sizable brand loyalty outside the U.S. that is also coupled with a real business, and then managed to sustain it beyond the launch hype? Keep thinking. And keep that in mind as you listen to what will be a lot of press-release-led international expansion talk in 2018, about either “going it alone” or in big partnerships, especially in large English-language markets. The allure of a global footprint is intoxicating because of a simple fallacy: Media executives look at the large, growing audiences that currently come from another country to our U.S. offering, and start doing the easy math of turning them into a business. Take India, with its hundreds of millions of English-speaking/reading targets. The Journal (India RealTime) and the Times (India Ink) painfully fell for it and then pulled out, just as a horde of digital brands rushed into India in small and big ways. The reality of India is that it is still a terribly immature digital advertising market, in terms of yields, and simultaneously dominated by powerful and not entirely ethical media houses with deep pockets and decades of quid-pro-quo business relationships. Meanwhile, your hard-earned 5-10 million monthly unique visitors from India, in addition to not being unique at all to a local advertiser —t hey can all be reached in larger numbers via homegrown brands too — have no intention of paying any time soon for your journalism either, in what is historically a very price-conscious culture, underpinned by shameless copying and non-attribution of original reporting or writing by many local newsrooms. That doesn’t mean there’s no opportunity for some of these 2018 hopefuls. Despite entrenched Indian newspaper and television brands, there isn’t really a digital news/entertainment brand that has become dominant in India yet, given the terrible UX/UI and the stepchild treatment that digital gets within mainstream brands, seemingly large audiences notwithstanding. But to really win in India, it will take a multiyear standalone venture with very deep pockets, and a willingness to sink tens of millions to create the go-to digital media brand for Indians in India. Many Western media companies fell — and will continue to fall — for the seductive appeal of partnering with India’s dominant media giant as a way to win-win. In theory, at least, this also helps navigate India’s very opaque and byzantine foreign media ownership regulations that can put standalone digital ventures at regulatory and legal risks. But doing so is akin to leasing a tour boat from the company that owns the Bermuda Triangle. Practice Caveat Emptor journalism. This year has been a lovefest for the scores of new, for-profit, non-profit, and no-hope-ever-for-profits ventures that have been announced to tackle fake news and misinformation. And deservedly so, given what an insidious year 2017 has been for the spread of misinformation in its many variations. As we go into 2018, it might be time to slow-clap. For starters, many of these efforts are seeded by the usually well meaning but guilt-coopting money from many of the very platforms that actively contributed to making misinformation go viral. Not all of the money comes directly, either, but frequently routed through well regarded journalism schools and their Twitter-savvy professors, giving it the veneer of academic and media-pundit credibility. There is absolutely nothing wrong in taking this money — after all, these platforms made their money off the efforts of our journalism. But let us make it a habit of disclosing funding when fawning over these efforts, especially when routed through academic initiatives. It might also be helpful to start painting the full picture of the many blindfolds feeling up this misinformation elephant, so to speak, in the U.S. and outside. A bit like those Luma industry ecosystem charts that are scarily captivating to look at, even as that voice inside your head is screaming “this won’t end well” for most companies on there. A vast majority of these startups are building tools and services that mostly seem to shift the onus on to audiences, rather than push news providers to apply, learn from, and embed the solutions. It might be worth asking why asking readers to do the heavy lifting makes a lot of sense in a world where we get our news and information from myriad sources at high velocity, and how these multiple technological solutions are really going to work. And how can we better connect this patchwork of well-meaning efforts into a more effective solution for our readers? Yes, misinformation is a “wicked” problem. And wicked problems by definition won’t lend themselves to easy solutions. But why do we let the likes of Facebook, which seems to solve all its own business model problems, throw up its hands, sprinkle some funding dollars our way, and tell us to solve the problem for them? If you broke it, you ought to fix it too. And pay for all of it. Lasting success in the digital news business is as rakishly elusive to most of us, as it is to the Saul Goodman redux on the eponymous AMC series on American television. Given all the challenges we have talked about in measuring success accurately, here is a relatively straightforward way to try and hold up a mirror. Start by asking — when a startup is unveiled, when an acquisition is announced, when a round of funding is disclosed, when a top executive is named — what is the ambition here? This is when we media executives are at our most giddy, chatty selves — plus chances are we have fed you that “launch exclusive” and so you get a lot of quality time with us before anyone else does. Be appropriately thankful for the scoop, but definitely get the rhetoric on the record, be it the “we want to be the new Bloomberg” or “The Economist-killer” or the “quasi-CNBC for millennials” or the answer to the “media is broken — and too often a scam” problem. Now ask these same executives to define — in their own terms — what success looks like a year, 18 months, two years out. Try to get some numbers now — around potential audience reach, growth expectations, staff size — but push back against them setting the bar too low on measurable metrics, out of the gate. Write the launch story and then file it away with an automatic reminder on your calendar. Go on to other stories. Six months to a year later, you will have a lot of fun revisiting with these executives. And it will tell your readers a lot about the hype-versus-reality of our business. The good news is you don’t even have to be the one who got that launch scoop. A regular romp through the news archives, particularly press releases from these companies, should help you give your readers a lot of “let’s really talk about success” business of media stories, whether a company wants to talk to you or not. A “pivot” is just one letter added to a four-letter word. 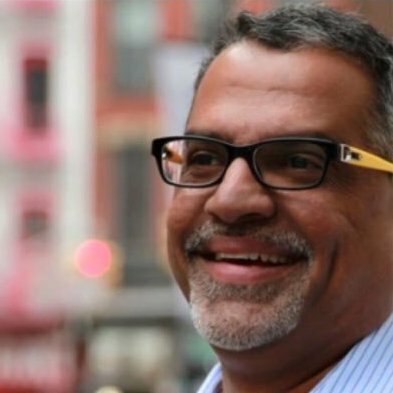 Raju Narisetti is CEO of Gizmodo Media Group. Dec. 19, 2017, 10:21 p.m.